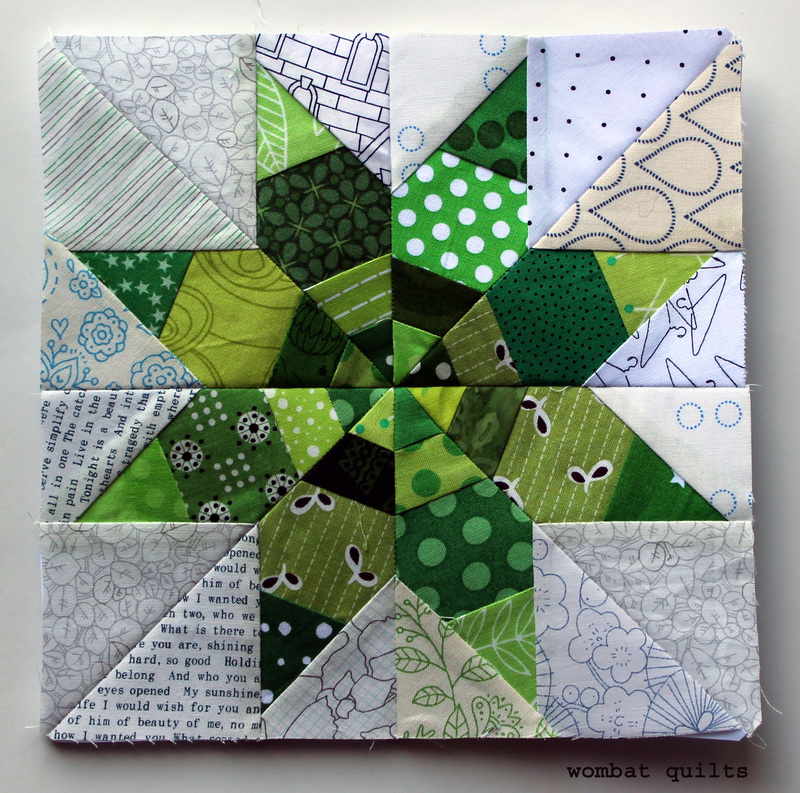 Hello and welcome to Paper Piecing Tuesday…. 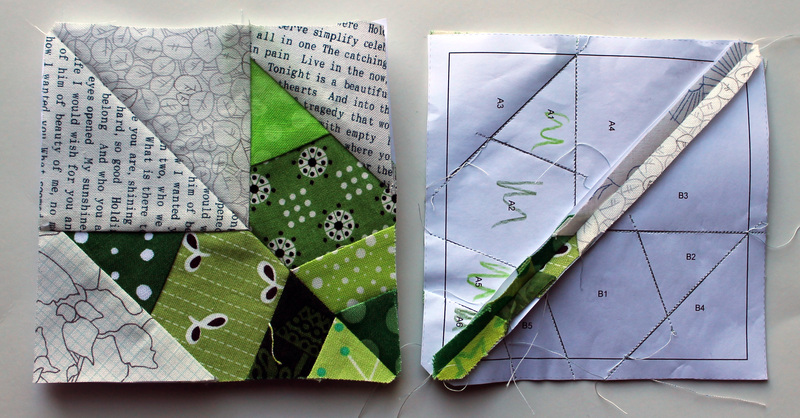 yesterday got away from me so this week we are paper piecing a day late. I had fun making this one, alternating light and dark stripes. The PDF pattern for this 8 inch star can be found here…Alternating star pattern. See you next week for another star! Thank you for all your wonderful star patterns. A beautiful star. I should have had more time to do this. Not long to go till we can watch you working out your favourite Emerald Star layout! Autumn’s here, it’s cool at night, easy to sleep, and I can finally work in the garden without danger of heatstroke. Lovely! Queensland sends its greetings. Kate we are just getting into summer weather here. I spent yesterday in a summer dress working in the garden without getting frost bite or wet! Ah I miss Queensland. I keep coming back to look at this star… I’ve added it to a file of potential blocks for my FootSquareFreestyle block swap party starting in June – if I add a border round the outside it’ll be the foot square it needs to be, and it’s simple enough that I won’t be able to stuff it up! Kate I am happy to blow the pattern up for you in EQ to get it to the right size. Just let me know what size you want. That would be brilliant! It needs to come out at 12.5″ for a 12″ finished size once all the blocks are sewn together. There’s no hurry, though, the block swap doesn’t kick off till 1st June and it runs for a year. You have lured me back into the frenzied task of paper piecing. Yesterday I did 11 seams, of which all but 1 had to be undone and re-done! What have you started with your delightful stars? Really beautiful – and such patience! I love this one! Very nice. Just wanted to say thank you so much for all the lovely star patterns you have supplied. I love your site and am usually just a non posting observer! I really love your stars and have already made two of them. Thanks so much!